In many respects, building a jazz program is much the same as any other area of music. Some teaching methods, however, can be more useful than others when working with a jazz ensemble. One that I’ve found to be particularly effective employs guided listening. A performer’s job is to create and convey emotion. However, it’s not always easy to understand where that emotion comes from. Many times we’ll become greatly moved while listening to a concert, yet if someone asks what created that emotion, it’s virtually impossible to explain — almost as if the music makes us say “wow” in reaction without really knowing why. I once went on a date in high school with a new girlfriend to hear a youth pastor play a trumpet concert. He played one particular song that I knew as a vocal selection. The arrangement was simple. He did not play too high, too fast or too loud, but his tone and lyrical line were so beautiful that tears began to well up in my eyes. Becoming emotional over the sound of a brass instrument really wasn’t how I wanted to impress my new girlfriend, so I tried to distract myself with thoughts of golf, but to no avail. She actually did drop me soon after, but I remained amazed at how a trumpet could create such emotion. Finding out how that’s possible has since become my life’s quest. That means instead of just shaking our heads in amazement, we have to take that extra step to observe what inspired us. Then comes the most important step — acting on our observations and applying them in the utmost detail to our own playing. Only then will we be more than simply “wow oriented” by a piece of music we’ve heard. Having grown up as strictly a classical musician, I often wondered why serious jazz musicians had such good ears. Then I studied jazz and the answer became clear: They have to. Jazz musicians learning to improvise must transcribe solos either mentally or on paper. At first students will use their instrument or a piano to verify the pitches they hear. After much transcribing, they will begin to recognize pitches without needing an instrument. This process is accelerated early on if they immediately play the music they’ve just heard. Our ears focus wherever we direct them, but students must be guided to the right places when they listen. One day in my jazz ensemble rehearsal we were listening to the opening of Duke Ellington’s “Take The “A” Train,” which includes the rhythm section alone in the first chorus before the big band comes in. I asked everyone to concentrate on the musical significance of the high-hat cymbal during this passage. The students were to observe how the high-hat added to the emotional content of the piece and kept it moving along, and were also to consider how they could apply these ideas to their own instrument while improvising. Later we listened as Ellington’s entire big band introduced the melody of the song. One student exclaimed, “I never even heard the cymbal in this piece before today, and now I can barely hear the band because the cymbal is all I can hear!” Our ears can be focused in any one direction or not at all. You can also direct students to listen for some of the more subtle aspects of a piece, including style, phrasing and emotional expressiveness. Have them listen to how the music’s concept unfolds melodically, harmonically and rhythmically. There’s a wealth of information to be discovered, and a musician can listen to a recording many times over and still find something new to observe and imitate. It’s best at the start to set aside one or two rehearsal periods for an introduction on the hows and whys of listening to recorded music. After that you can take 10 minutes at the beginning of every rehearsal for guided listening. You can help students want to observe by having them focus on music and a topic that will inspire them. Of course, students will become interested in almost any type of music if they are directed to musical characteristics they can actually figure out. Be sure to ask questions that will let “them” figure out the answers. From here, have the students observe basic musical elements and emotional concepts, but be sure to progress slowly and consistently. Listen for one element during each rehearsal period; asking them to listen for too many elements before they are ready can cause frustration and lack of inspiration. Have them get in the habit of writing down what they hear, because as their ears develop they will observe much more in all facets of the performance. By the time a student is able to hear deep into a recording this method of listening must be second nature. That way, in later rehearsals you can choose a recording with characteristics similar to the music being worked on that day. Help them improve by guiding them to the music elements most lacking in their own performance. You can use any of these topics: steady rhythm, intonation (be specific with passages and instruments), impact on beginnings and ends of phrases, length of long notes, follow-through, balance, the role of the rhythm section, patterns of accented notes and the ease of the upper register. Because jazz is played differently than other musical styles, recorded music can be a powerful means of conveying those differences. By having students listen to recordings and focus on the elements of what they’re learning to play, they’ll absorb this information more quickly and efficiently. And as you help your students develop these tools for learning music, you can guide them to a better understanding of how the music should sound. 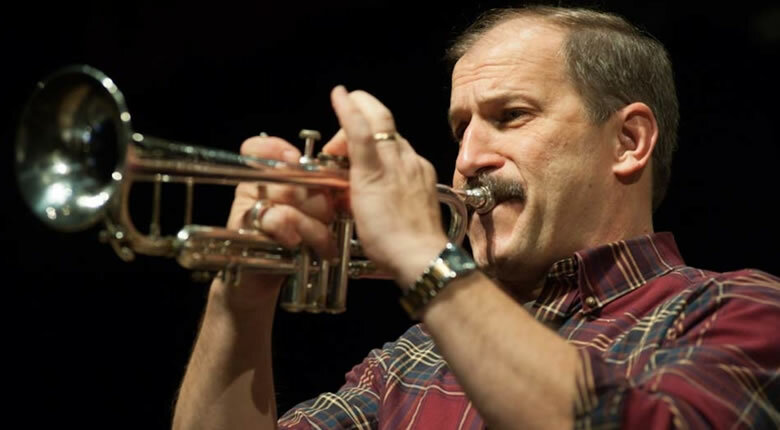 Robert Baca teaches trumpet and is Director of Jazz Studies at the University of Wisconsin-Eau Claire. He is currently the U.S. representative for the executive board of the International Association for Jazz Education.